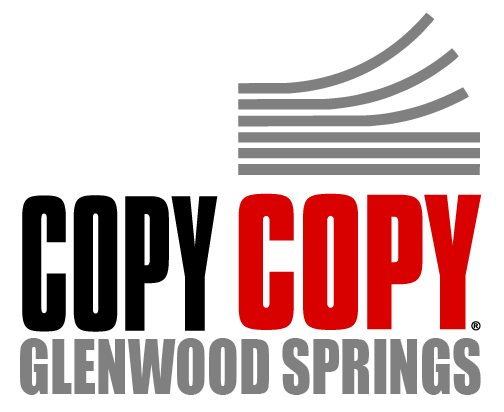 The Glenwood Springs COPY COPY opened its doors in August of 1993. We are located on Highway 82 (also known as Glen Avenue) about two miles south of the Colorado River and I-70. The Glenwood Springs store is managed by Annette Foster. 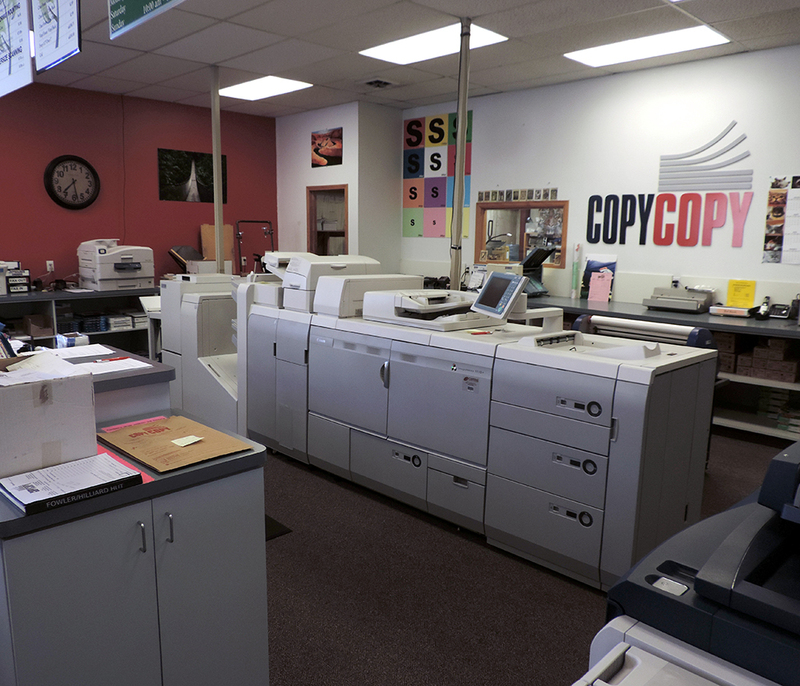 Stop by for all of your print shop and copy needs – we offer copies, scanning, faxing, laminating, business cards and graphic design services, a self serve business center, FedEx shipping, and more! Manuals, brochures, flyers, spec books, letterhead, newsletters, NCR forms, mailers, and more, with same day service for most jobs. With high-speed copiers, we can get any job done quickly and efficiently. Many different paper stocks are available, including bright/pastel colors, resume paper (with different shades of parchment, fiber, and linen available) cardstock (thicker paper) as well as glossy, adhesive labels, and transparencies. Photographs, flyers, brochures, newsletters, greeting cards, personalized calendars, menus, rack cards, mailers, letterhead, newsletters, post cards, business cards, and much more. Self service or full serve, our high-end color laser printers can be used with our wide selection of paper for stylish colorful results. 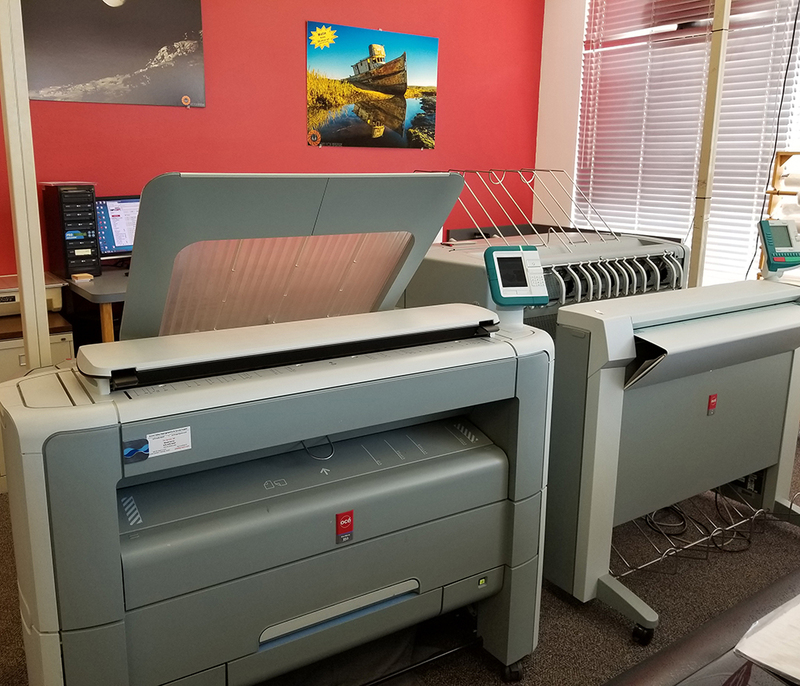 Print or copy up to 36″ on our high-volume laser plotters, or up to 42″ wide with our color printer. Enhance your business image with professional business cards: choose from glossy, matte, color, linen, parchment or fiber paper choices. We design and print professional looking business cards on any selection of our available paper. For standard business cards, A proof will be designed and the cards usually are ready within 24 hours after proof approval. Also available are non-standard cards, such as raised lettering, folded cards, etc., time depends on job criteria. Banners, posters, signage, photographs, or any other large color print up to 42″ wide on either glossy, matte (bond), vinyl or canvas. Laminating and foam core mounting is also available. Enhance your prints for presentations, trade shows, displays and more. Foam core mounting involves applying the print to a stiff layer of foam board to create a professional looking and durable display. Legal documents, photographs, architectural prints, scanned to any image format and either emailed, copied to a usb drive, or burned to a cd/dvd. Digitize your documents by getting them scanned. OCR text recognition is also available to reduce file size and make text documents searchable. 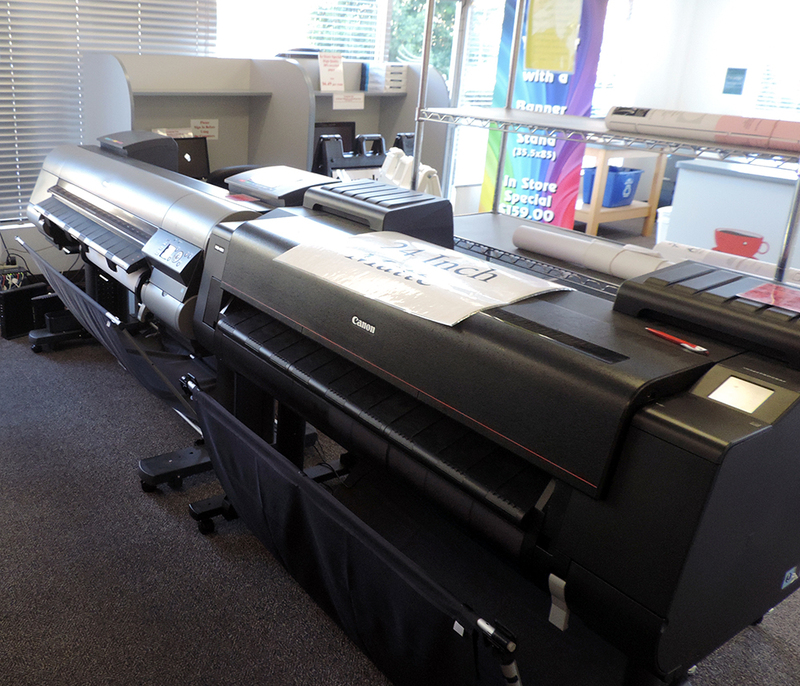 Large documents up to 36 inches wide can be scanned in either color or black and white. Protect your important documents or large prints by laminating them. We can apply either a 3 mm or 5mm layer of plastic. Send or receive faxes anywhere in the world. Check your email, print documents or work on your own projects. COPY COPY Glenwood is an authorized FedEx Ship Center. High quality passport photos that meet all agency requirements. Transfer your pictures to a t-shirt, mouse pad, coasters or canvas bag. Receive Specials, Discounts, Tips, and Tricks!